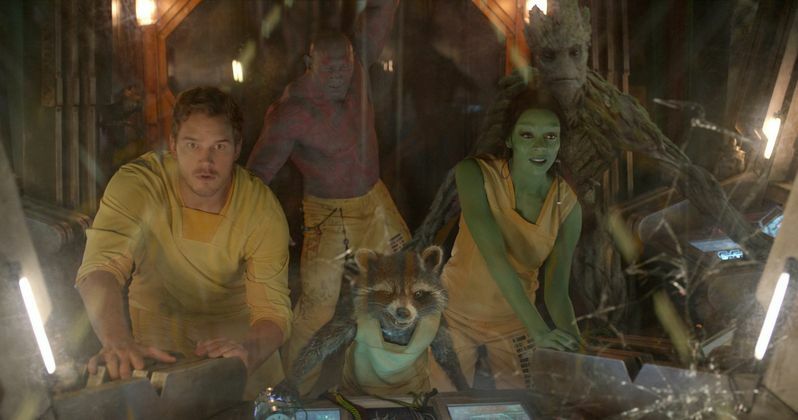 If the new featurette with Guardians of the Galaxy star Vin Diesel wasn't enough for you today, Marvel Studios have released 25 high-resolution photos from director James Gunn's Marvel Phase Two adventure. While these images feature new looks at the Guardians themselves, Star-Lord (Chris Pratt), Drax the Destroyer (Dave Bautista), Gamora (Zoe Saldana), Rocket Raccoon (Bradley Cooper) and Groot (Vin Diesel), we also get a better look at Benicio Del Toro's The Collector, John C. Reilly's Corpsman Dey and Glenn Close's Nova Prime. Take a look at these new images before checking out this cosmic big screen adventure in theaters August 1.